Marie Lenay Rogus is a writer, survivor and grief advocate for those who are grieving. She was trained by the San Diego Hospice to be a bereavement group facilitator which she did for three years. She could be with all groups except for those grieving children. She is the author of Grief Comfort Guide: A Personal Journey from Loss to Light. In her memoir she writes about the loss of her 18-year old son who died instantly when his car rolled, threw him out the window and landed on his chest. She also writes about the difficult years her first husband went through as he dealt with a hard life of relying on a dialysis machine to live and the devastation of the loss of a transplanted kidney. Lenay shares her grief from the loss of seven people she loved deeply and she celebrates those lives by telling their stories so we know who they were and how her life was shaped by their love. When she’s not writing or speaking she provides narration for Audible books, including her own. Most recently I’ve been learning to blog, do Search Engine Optimization, master Twitter and Facebook and create my book trailer and narrate an Audible version Grief Comfort Guide. Lots of work but fun and interesting. I’ve listened to so many Audible books now that I think I’ve mastered a British accent. Board Certified by the American Council of Hypnotist Examiners (ACHE) as a Clinical Hypnotherapist. ACHE certifies for 300 hours of training. 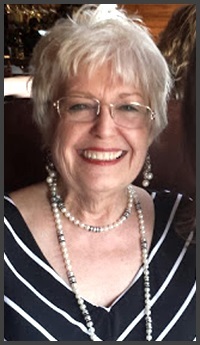 Certified as a Complementary Medical Hypnotist – Trained by Scot Giles, Ph.D.
Marie Lenay Qualified as a Religious Science Practitioner in 1976 and completed a two-year doctorate-level philosophy Course in Mastery by Michael Valente, Ph.D.